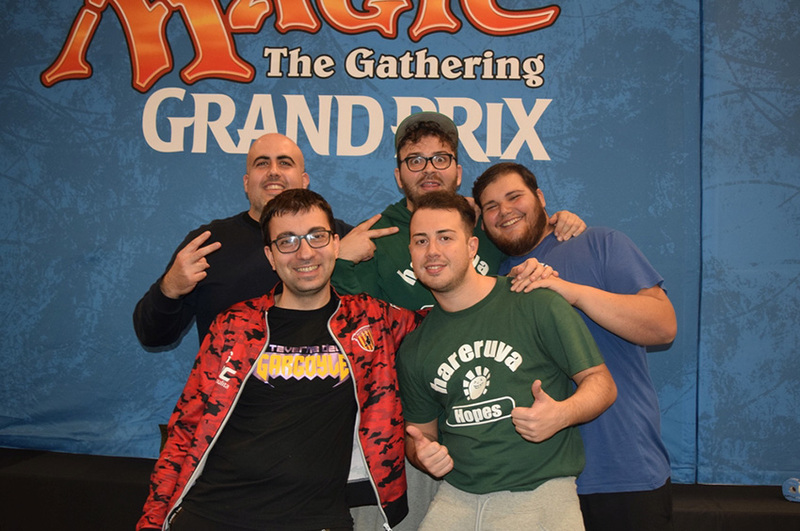 The weekend featured three Grand Prix events across three continents, giving players all over the world a chance to do battle in Ixalan Sealed Deck and Booster Draft. The format had been around for about a month at this point, and had been explored extensively, at a pair of Team Limited GPs for example and at the World Championship no less. But this was the first time it was played at a single-player Grand Prix. Many of Europe's biggest stars had already embarked on their voyage across the sea, and would be exploring the new world, hunting for treasure at Grand Prix Phoenix this weekend. This for the supremely simple and purely practical reason of being closer to Albuquerque, the site of next week's Pro Tour. Especially many of those with commitments in the Pro Tour Team Series had headed west early, meeting with the rest of their international band of brothers to test for the big show. 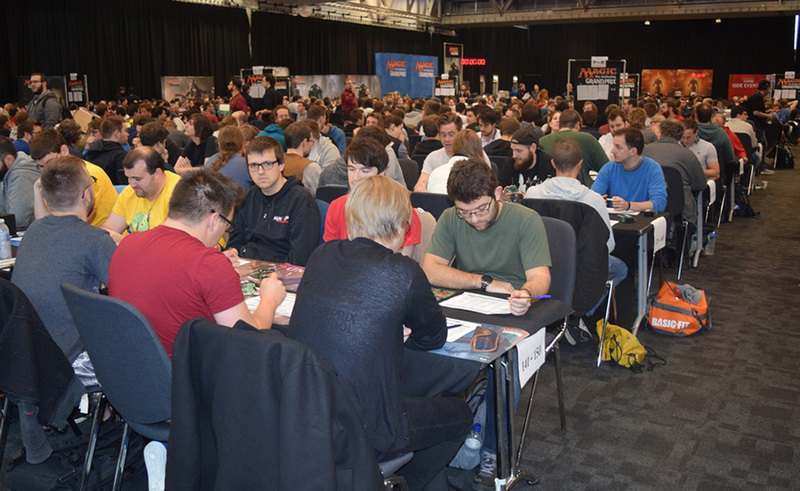 In fact, when I checked the attendance list of Grand Prix Liverpool for players with three byes, I saw one of the lowest numbers yet, with but four entries. No Hall of Famers and only two Platinum and Gold pros each decided to make a stop in England's northwest on their way to the wild west: (3) Márcio Carvalho and (13) Javier Dominguez, last year's and this year's runner-up at the World Championship; as well as Federico del Basso and Matteo Moure, members of the newly-founded team La Perla Nera. Four pro players in a veritable sea of 1,209 competitors: that was an almost unprecedented low. But to be fair, only current pro levels figured into this. Grand Prix Liverpool wasn't lacking in talent, not really. I counted no less than fifteen former GP champions with at least seventeen GP trophies among them—David Brucker, Carmine D'Aniello, Thomas Enevoldsen, Daniel Gräfensteiner, David Larsson, Fabien Li, Rosario Maij, Mitchell Manders, Samuel Marti, Kayure Patel, Christian Seibold, Helmut Summersberger, Ricard Tuduri, Arjan van Leeuwen, Yusuf Kemal Vefa—plus Pro Tour champions Remi Fortier and Jan-Moritz Merkel! The list of the highly accomplished and renowned, of the proven Magic experts didn't stop here either. Michael Bonde, Jaroslav Boucek, Aaron Brackmann, Marco Cammilluzzi, Francesco Giorgio, Piotr Głogowski, Jasper Grimmer, Hannes Kerem, Jan Ksandr, Rene Kraft, Alessandro Lippi, Pavel Matousek, Branco Neirynck, Matteo Orsini Jones, Dario Parazzoli, Elie Pichon, Raul Porojan, Max Pritsch, Sergiy Sushalskyy, Serafin Wellinger, and Martin Zimmermann. Not all of these names may sound familiar, unless one followed coverage for decades, but these twenty-one people alone could boast 53 previous Grand Prix Top 8s as well as six Top 8s at the Pro Tour. So when Pro Tour Aether Revolt quarterfinalist Jan Ksandr suggested that this Grand Prix was a much better choice than the one in Phoenix, I was skeptical at least. Easier, yes surely, but this was by no means an easy field either. 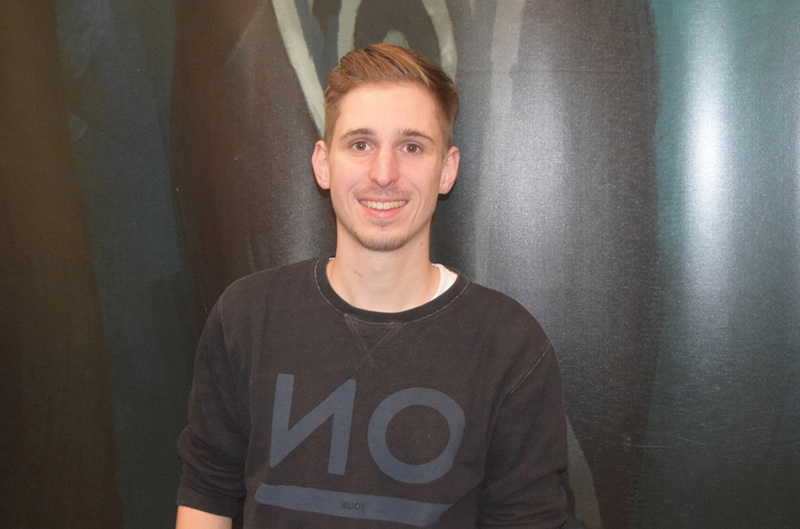 "You mustn't try to build an Ixalan Draft deck," was the central piece of advice Christian Seibold had with regards to Ixalan Sealed Deck construction. 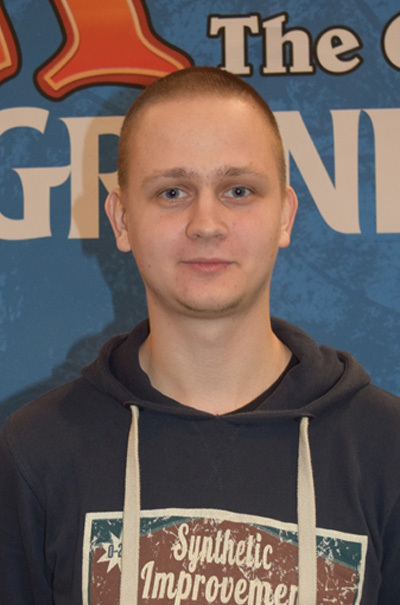 The Pro Tour quarterfinalist, Grand Prix finalist, and Grand Prix champion stressed the difference in tempo between the two formats, which was probably even more pronounced than usual. 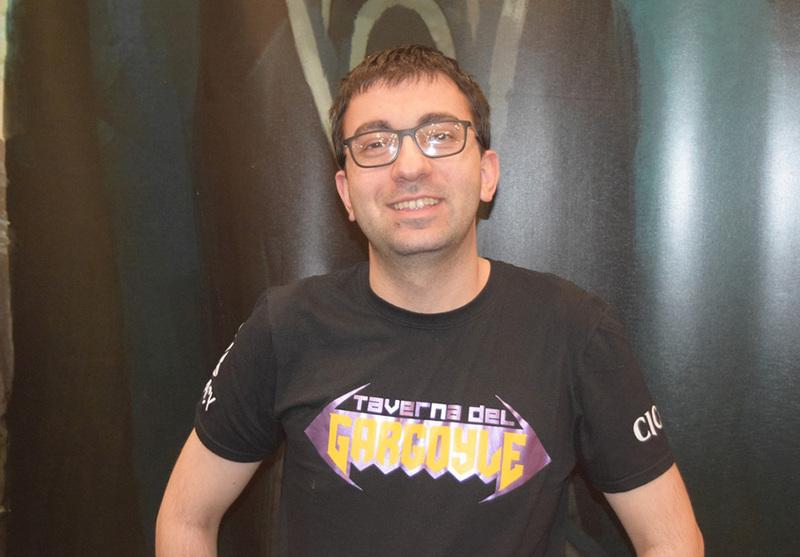 "You have to look for synergies specific to Sealed Deck where it's not so much about an aggressive tribal curve but rather about something like treasures," said Seibold. "To give an extreme example, you could have a blue-black deck heavy on treasures and splashing Regisaur Alpha. "At the same time, you should keep an eye open for more aggressive options too. I built a deck with seven 2-drops, five 3-drops, and a lot of tricks today. These decks do exist, but generally the format isn't very fast. It's about bombs and card advantage and all the hallmarks of regular Sealed Deck formats. "Sealed is a lot slower than Draft. There are way more board stalls and grindy games, even if good aggressive do exist too," said Silver pro Jan Ksandr, echoing almost exactly what Seibold had told me earlier. 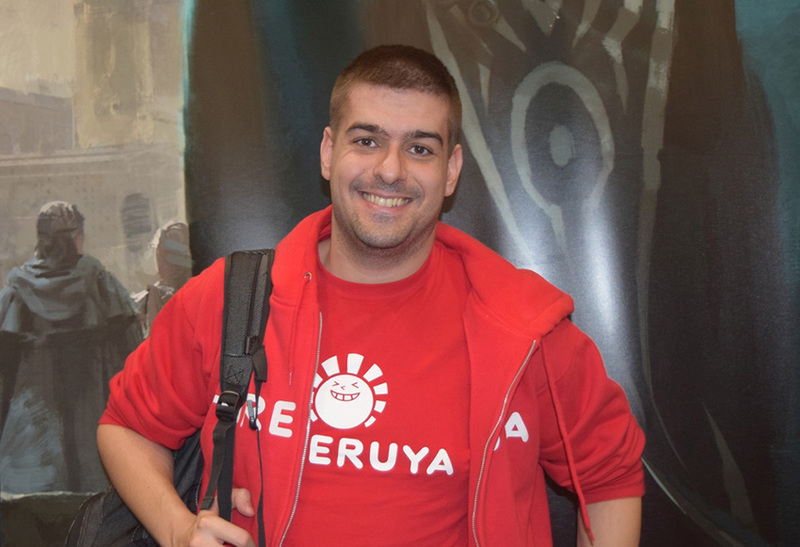 "The biggest difference between Booster Draft and Sealed Deck is that the big cards are actually good here," said (13) Javier Dominguez. The Platinum pro came fresh off a second-place finish at the World Championship and was already winning again. His Round 4 feature match was a case in point, as he activated Conqueror's Foothold over and over again and succesfully buried his opponent in card advantage. "Conqueror's Galleon is one of those cards I don't like in Draft. It's okay, maybe good in a few games," said Dominguez. "But it's actually awesome in Sealed!" Dominguez also mentioned his fondness for treasure tokens, specifically in Sealed Deck: "Treasures are great here. In draft, Contract Killing will sometimes leave you with treasures that you literally have zero use for, which is quite unlike the situation in Sealed. I definitely was surprised by how good treasures were; probably the biggest reason why I like blue-black best of all color combinations in Sealed." "Sealed Deck is somewhat random. 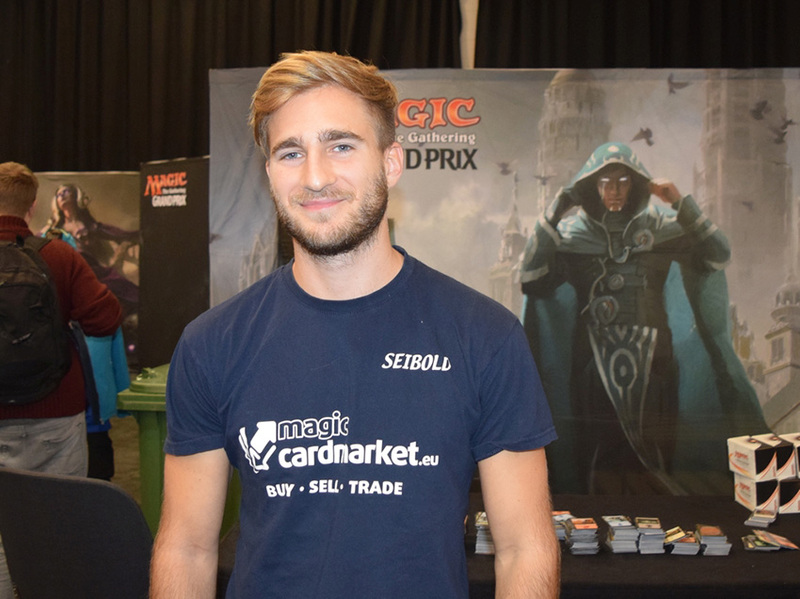 You want to open bombs and you want synergy and you don't want to be too slow either," said two-time GP Top 8er, and one-time winner, Mitchell Manders. "You could say you want synergy and power. In Booster Draft, on the other hand, you want synergy and tempo. Auras and cheap tricks like Skulduggery are often better than removal," Manders continued, "while in Sealed Deck it's exactly the other way around." One familiar card name was also mentioned by Manders: "Contract Killing for example is really bad—well, that's an overstatement, but at least not very good in Booster Draft. However, it's really strong in Sealed Deck, whereas Skulduggery is merely okay." 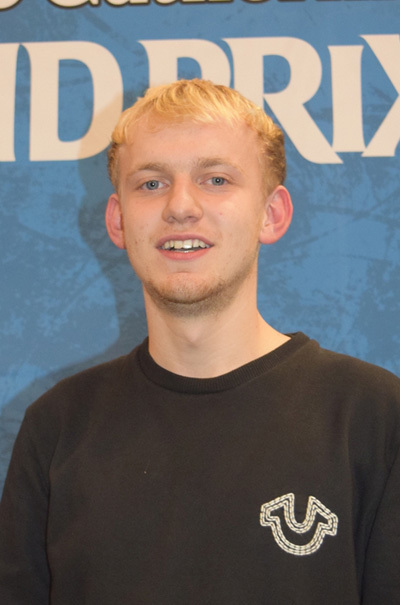 Alessandro Lippi, who had three Grand Prix Top 8s to his name from a couple of years ago, had recently made his way back to the Pro Tour via a Regional Pro Tour Qualifier, and had just now defeated Manders in an early feature match, chimed in with: "Bright Reprisal. Bright Reprisal is another one of these cards the value of which changes a lot between Draft and Sealed." Manders was quick to concur, "Yes, I'll usually sideboard the card in Draft, but start it in Sealed." 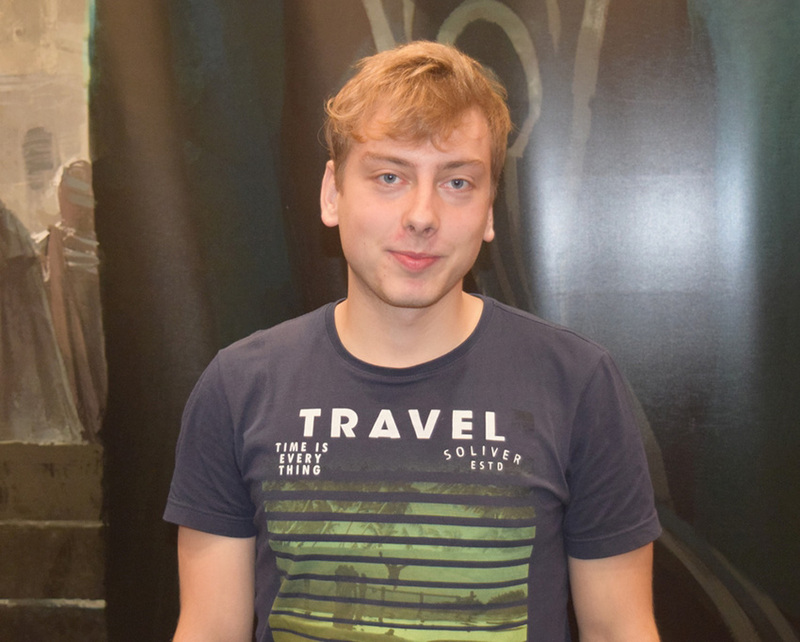 Gold pro Federico del Basso was skeptical and said, "I think Bright Reprisal is always unplayable in Draft." Lippi didn't want to go that far, but stated, "There aren't many aggro decks in Sealed." Manders who had played Bright Reprisal against Lippi, to no avail, admitted, "Well, my deck is quite bad. That's why you beat me!" Del Basso, meanwhile, wanted to stress that he simply adored the Limited format. "It's very beautiful. Really beautiful. When drafting the solution is to find the open tribal deck, but I also played a lot of Sealed and here it's more about the interaction of cards ..."
Del Basso explained that Sealed Deck construction often came down to a mix and match between various tribes and their payoff cards. "And if you don't get enough in your colors, treasures allow you to splash something. This is definitely part of the beauty of the format." As any student of advanced Sun Empire martial strategy—or flavor texts—knows, the correct maneuver is usually to deploy the giant, implacable death lizard, also known as Carnage Tyrant. The only question is when to deploy it, or rather how soon one will be able to deploy it. 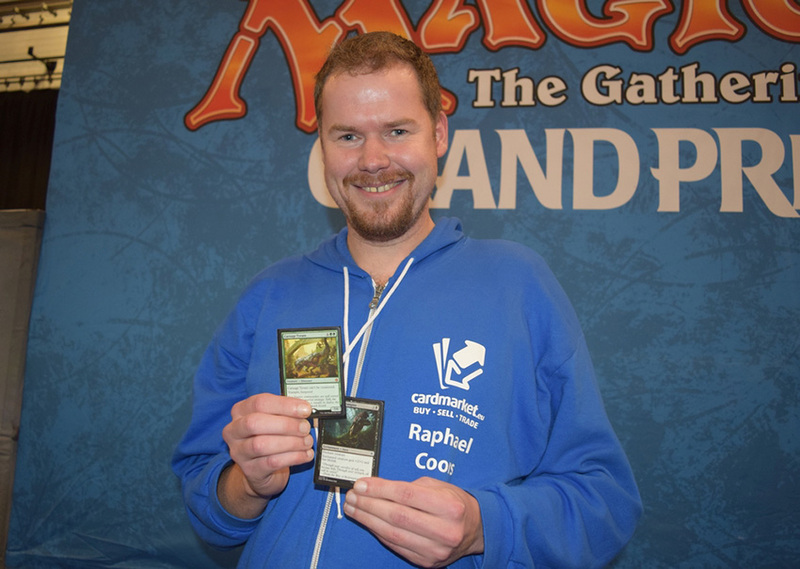 Raphael Coors, quarterfinalist at Grand Prix Amsterdam earlier this year, had the perfect timing. He was living the dream today. Not only because he was able to cast Carnage Tyrant on turn four, but also because he needed his opponent to play along to achieve this feat; his opponent obliged and killed Dire Fleet Hoarder, with Dual Shot, in response to Coors's New Horizons. To add insult to injury, and to complete the dream start, Coors gave his Carnage Tyrant a Mark of the Vampire on the very next turn. "So yes, I attacked on turn five with 9/8 trampler with lifelink and hexproof," he summed things up. Most of the big pro teams had already departed for the States. But one rowdy crew sailed against the current and anchored their ship in Liverpool's harbor this weekend. The ship in question: La Perla Nera. And unlike some teams, these five also did all of their testing with each other. When I asked del Basso to this effect, he looked at me sideways and said, "Of course. I mean, come on, we're all Italians." With Ixalan around for about a month by now, it was time for players to take inventory, to re-evaluate what was working and what wasn't. I asked several of the more notable players for cards which had surprised them. 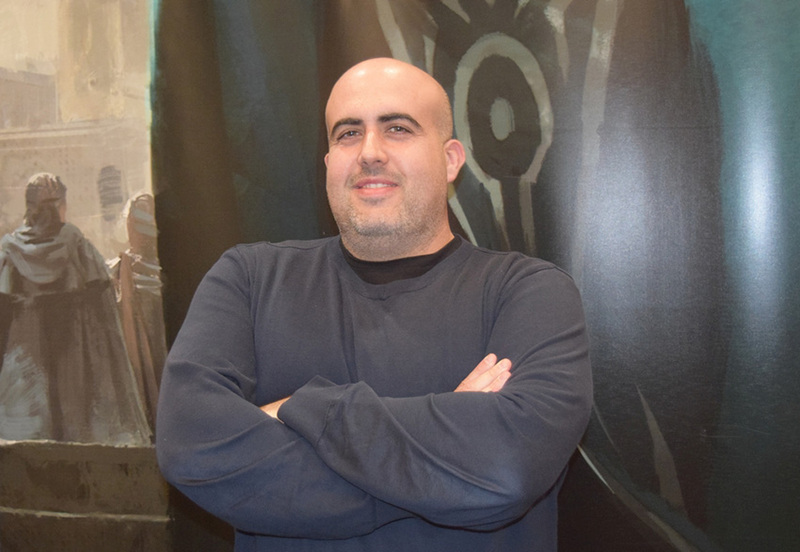 "All the Auras are way better than I expected," said Pro Tour Aether Revolt quarterfinalist Jan Ksandr. "Overall, the removal is worse; it's so expensive! Good creatures often are more important than good spells." Ksandr also saw a striking difference between this and the previous Limited environment, with its cycling and late-game mana sinks in embalm and eternalize. "Going back to a format without all of those features was quite a blow. Even in Draft, you can't afford to miss land drops, so you can't really build your deck in a way to avoid mana flood. You get punished if you miss your land drops, but if you have too many you get punished too!" The dearth of mana sinks was a topic which came up often. 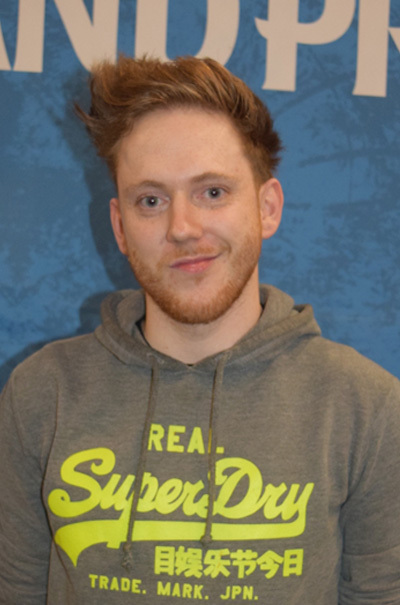 Grand Prix champion and Pro Tour finalist Craig Jones was one of several people singing Thundering Spineback's praises for this very reason. I was also told that Elaborate Firecannon was underrated. "I don't have to say anything about the Auras, do I? I believe the topic has been discussed enough by now," sighed GP champion Christian Seibold. "Actually, the card which has exceeded my expectations the most is Charging Monstrosaur ..."
"Which is not to say that I didn't expect Charging Monstrosaur to be great," Seibold added. "I knew it was going to be great. It just overperformed still. I think this is the card which I'd pick higher than any other, above Vraska, Relic Seeker and probably even above Vona, Butcher of Magan. For an uncommon to out-do all kinds of mythic rares—I never expected that." After nine rounds, only three of the original 1,209 competitors still sported an undefeated record of 9-0. They were destined to lead the field, cut down to 360, into the second day. Learn more about them, their decks, and their day below! Which card(s) in your Sealed Deck performed the best? Which card(s) in your Sealed Deck performed the worst? Which was the most exciting/close/cool game you played today? What happened? 24th at English Nationals 2017. Mark of the Vampire, Kitesail Freebooter, Imperial Aerosaur. Skittering Heartstopper. Never saw the card in any of the eight matches played. Beating Márcio Carvalho to make it to 6-0 to make Day 2. World Magic Cup captain this year. Boneyard Parley, Vraska's Contempt, and Mavren Fein, Dusk Apostle. The one game I lost today.